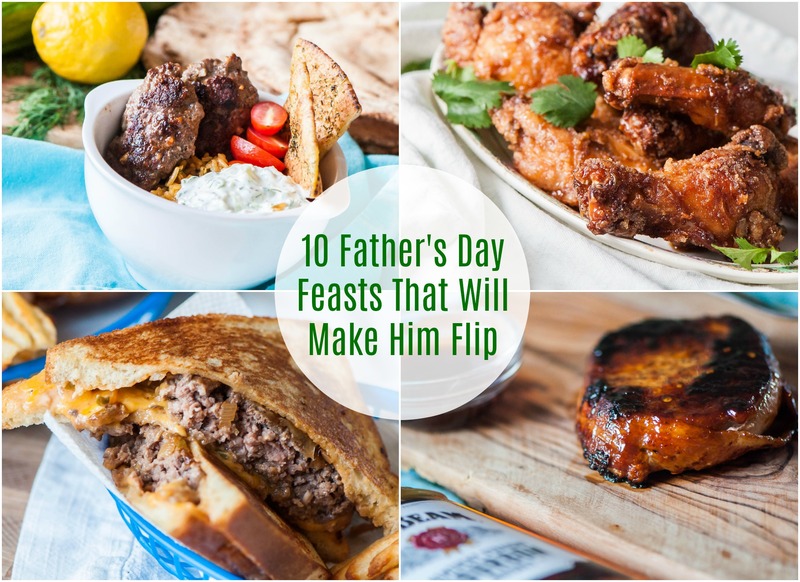 Today I’m sharing 10 Father’s Day Feasts That Will Make Him Flip. Whether that special guy is a breakfast person, adores burgers or is all about that steak, you’ll find the perfect meal in today’s round up to make him feel loved. I, obviously, love to cook and one of the biggest ways I like to show my love is through food. So when special days roll around in my people’s lives I always start dreaming up the menu way in advance. I think about the things they love and fit in all their favorites. With Father’s Day around the corner I thought it would be fun to round up some “manly” meals that would definitely satisfy. 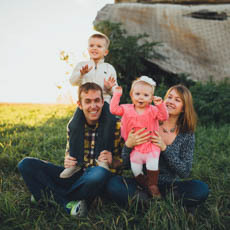 When I put together this list I thought of Joel and included a lot of his favorites. Today’s post is in no way healthy but it’s celebratory fun food that we should all indulge in on special days. This is always Joel’s breakfast request on Father’s Day. It was inspired by a dish he always ordered at our favorite diner in Fargo. It’s a little bit of work but hey, spoil that guy. These flautas are another restaurant copycat that we completely adore. They hit all the favorite flavors and textures – crispy, creamy, spicy, slightly sweet. Don’t let the name scare you because these pork chops are super simple to whip up with common ingredients but seem incredibly fancy. Plus, bacon. Plus bourbon. Need I say more? And now the opposite of fancy, completely loaded, messy hot dogs. These KC BBQ Dogs are inspired by Joel’s hometown and feature bbq pulled pork, creamy coleslaw and crunchy pickles. Perfect to enjoy outdoors on a hot summer day. These are the crispiest wings I’ve ever made or eaten. They are dredged in rice flour making them extra light and crisp. And the Thai sauce they are tossed in, man it’s good. The perfect manly appetizer or main dish to celebrate. We love a simple grilled steak but the sweet roasted garlic adds such an amazing flavor and fancies it up for a special day. This macaroni and cheese is always a crowd favorite. Combine two American classics, buffalo wings and mac-n-cheese for the perfect deliciously indulgent dinner. Burgers are always a go-to on Father’s Day and a classic patty melt is always a good way to fulfill that burger craving. Combine two dude favorites, pizza and the grill. This one may not scream obvious manliness but it’s something the very carnivorous Joel requests constantly. If you want a different route from the traditional burger/pizza/wing route, this bowl will satisfy and fill you up with delicious Greek flavors.